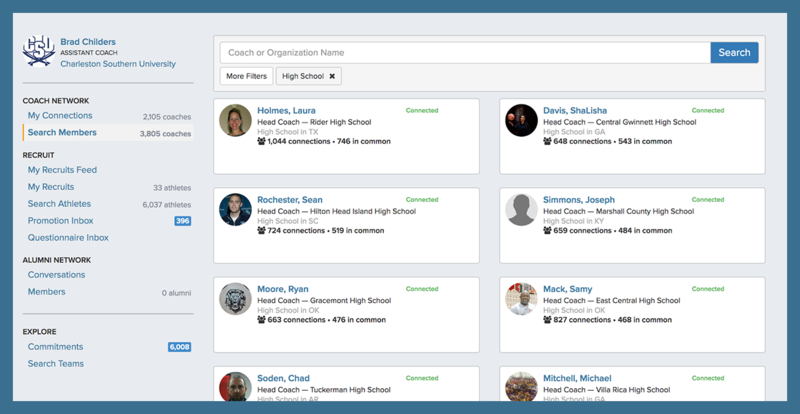 As a verified coach on FieldLevel, you’re able to connect with and build out your personal network of coach connections. When coaches connect with one another, both coaches will have access to each others' contact information and they can then send messages. The recruiting coach will be able to view the promoting coaches roster and the promoting coach will be able to promote his/her players to the recruiting coach. Each coach in the FieldLevel network has been manually verified by our staff, ensuring the most authentic network of coaches. When you click Connect, that particular coach will receive an email notification from you requesting he/she add you to his/her network. 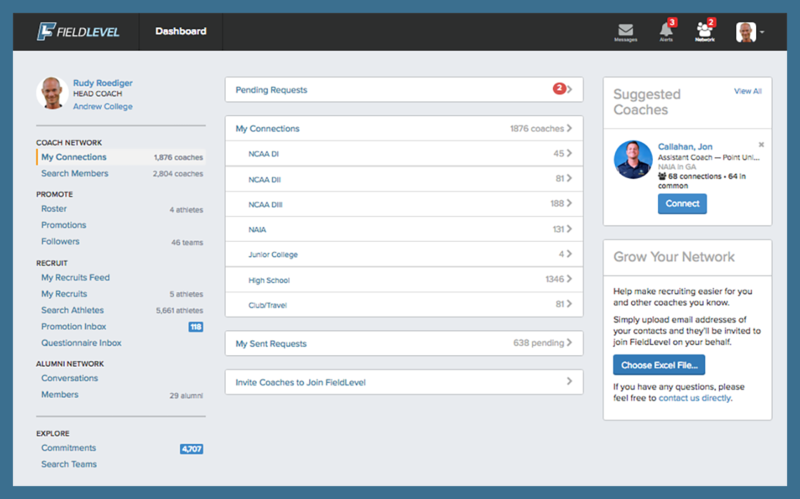 Once your account is verified, you can connect with coaches by clicking the Network button in the top right-hand corner of your Dashboard. From the Network Page, select Search Members on the left-hand side. This will show you the list of coaches with which you can connect. Once a coach accepts your connection, you will be notified via email as well as in your Alerts section. 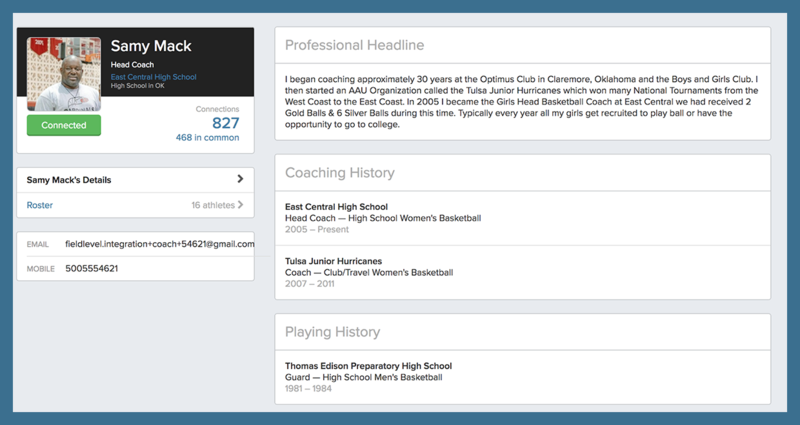 You can review a coach’s Playing and Coaching History in his/her profile by clicking on the coach’s name. You can review your network and view pending requests in the My Connections area. To remove a coach from your network, you can click on that coach’s profile, hover over the green Connected button, and select Remove.